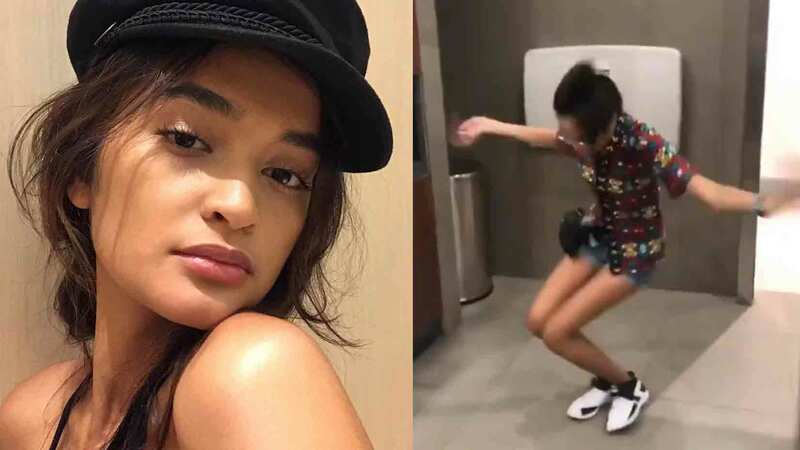 Jach Manere may have packed her bags earlier than the other models from the sixth cycle of Asia’s Next Top Model, but she continues to be a fan favorite thanks to her charisma and humor. While her Instagram posts document her adventures as a model, her IG stories filed under Jach Hacks show her candid, unfiltered best. And ICYDK, she’s so funny! Her latest story shows a solution to not having a hand dryer in the ladies’ room, which is pretty much shaking your arms intensely. But Jach made a whole dance move out it. As of this writing, the video that’s posted on Facebook has three million views and 100,000 shares. The same video was uploaded to Twitter, and it was viewed 277,000 times and retweeted 6,000 times. Jach's video has made many people laugh so hard, it's now a meme. Jach couldn’t be happier. 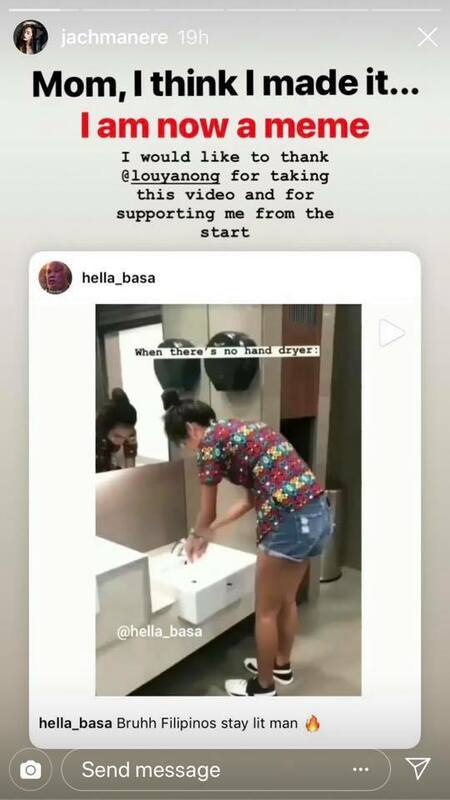 In a new IG story, she showed that meme IG account @hella_basa had shared her video; she then wrote, “Mom, I think I made it…I am now a meme.” LOL!